When I started homeschooling I knew there would be a lot of benefits for our family. Education wise I knew I could individualize my children’s education. I knew that it would work well with our family’s schedule, and I knew that I would enjoy teaching my boys. 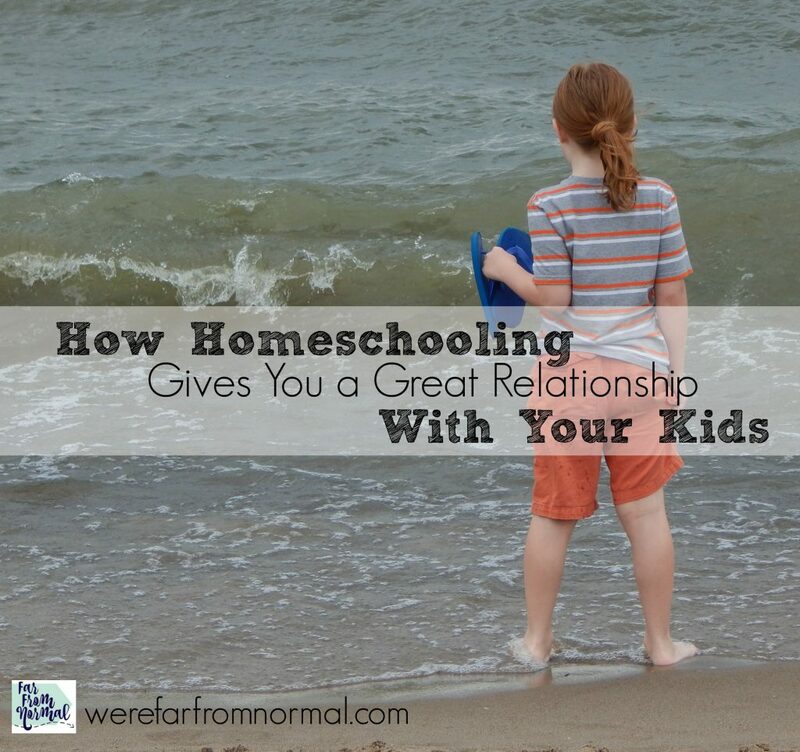 What I didn’t realize is how much homeschooling would affect my relationship with my kids, how close we would be, and how great a friendship we would have. I thought for a moment and realized, that is exactly how homeschooling helps you form great relationships with your kids. Homeschooling gives you time together. Your relationship isn’t being formed in the early hours before they go to school when they are tired and grumpy. It’s not left to after school when they are busy with homework and activities. Your time for conversations and laughter doesn’t have to be squeezed into the cracks of your child’s day, it is the bulk of their time. When you homeschool what you get first and foremost is time. 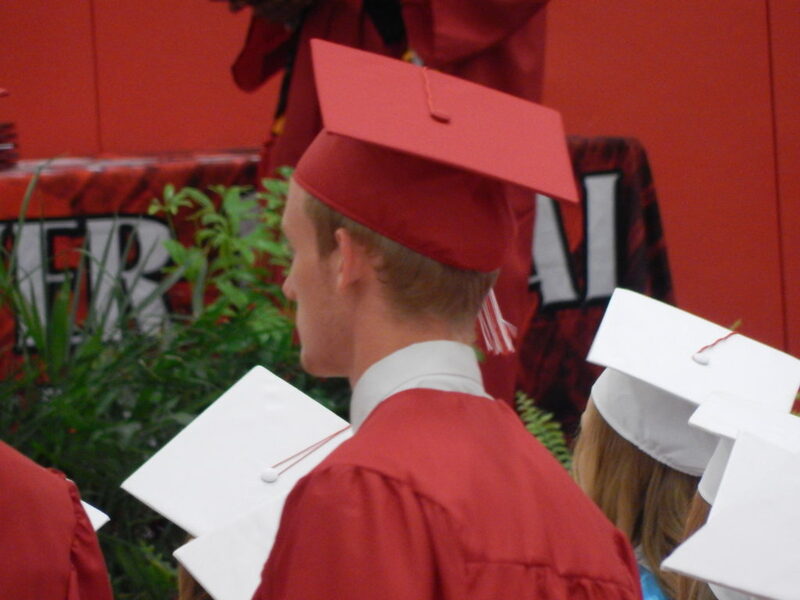 It’s funny, when my oldest graduated last year I didn’t cry. I looked around and saw so many parents with tissues in their hands, moms with smeared mascara, and I wasn’t crying. I felt weird for a minute, but it dawned on me why…. I had time with my son. Lots of time. I could look back at his elementary and middle school years and know I didn’t miss that. I got to help him learn. We ate meals together, and spent time snuggled on the couch reading. I didn’t spend 6 hours a day, for 13 years away from him. That time means you’re not always scrambling for family time. You have it, all the time. You’re not trying to fit your togetherness in between all the other things you do. If dad works afternoons you can start school later, if he has a day off in the middle of the week so can your kids. Homeschooling means you talk and connect. Homeschooling your kids also means you are helping them all the time. You are helping them learn, you’re helping them find friends, helping them get to their activities… they learn that you are there for them in everything. That foundation helps them open up to you as they get older, they know that you are there when they need you. Homeschooling also allows you to talk about soooooo much. I can’t tell you how many times one subject or question has led to another, and another. You end up talking about everything, you can debate, research together, you cover uncomfortable subjects, talk about religion, politics… you name it! That talking opens the lines of communication when they are little so as they grow they keep talking to you about everything. When your kids are at home you get to connect over so many things. You don’t realize how much of their day is spent talking to teachers and other kids that instead gets to be spent with your family. That funny cat video on YouTube? They’re laughing at it with you, and you get to share that moment. Homeschooling laid an amazing foundation for my relationship with my kids. 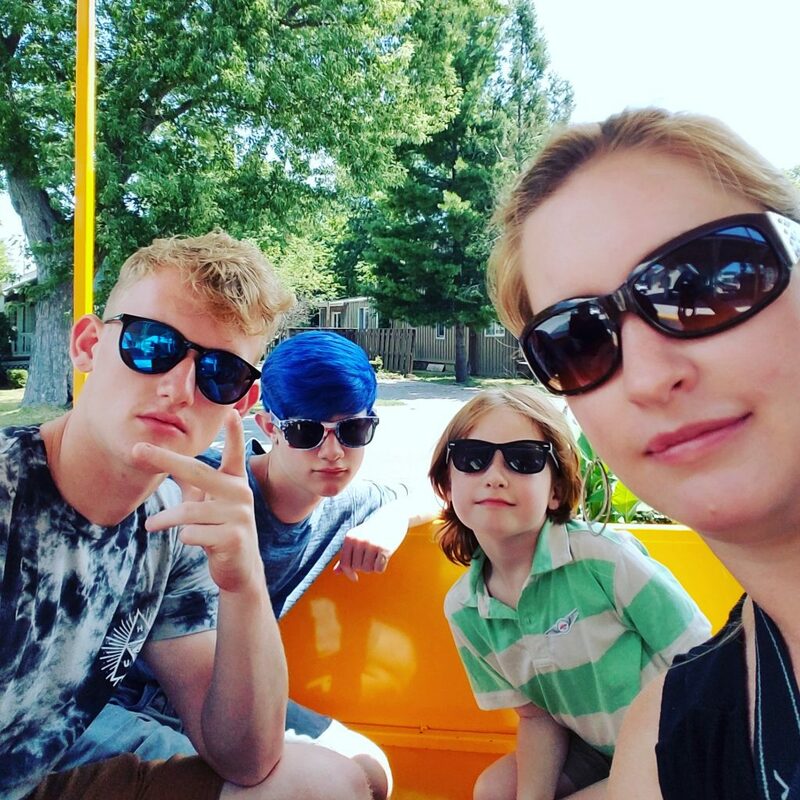 With my oldest off to college this year and my middle one in high school I don’t worry that we will become disconnected or that they won’t talk to me about something if they need to. Of course, homeschooling isn’t the only factor in our relationship, but it is a big one. A great relationship with your kids can’t be your only reason for homeschooling, but it is certainly one of the biggest perks!